I have an old electric knife (220V 50Hz) which seems to produce a lot of EMI. Some clues on that were a "bzzzz" noise from PC speaker I noticed sometimes when someone use it. So, I would ask: is there any way to reduce them (capacitor on AC motor,..)? Or can I make a sort of shield? (eg. whith alluminium sheets glued inside the plastic cover). Please don't suggest to replace it :) the question is just to know something more about EMI, shielding, etc.. Sounds like you have low frequency conducted EMI. An X-capacitor straight over the motor would be the first order of business, but I've included the steps I would have taken down the line (litterally). Couldn't find a symbol for you motor, nor lines to draw a correct CM choke. All values are estimations, but at least not several orders of magnitude off. To be compliant, your capacitor needs to be at least X2-rated. The R in parallel would be required in the EU to bleed down to 60 V (thanks Martin Bonner!) within one second or you will get nasty shocks from the plug if you toutch it once unplugged. There are special X-rated capacitors with this resistor built-in. This is called a bleeder resistor. There is a tradeoff between time and power dissipation when plugged in so make sure you have sufficient voltage and power rating on it. Your suggestion of aluminium foil wrapping won't do crap here due to too low frequency and conducted emission as opposed to radiated emission, where alumimium foil might have worked. If you don't want to dissassemble your device, at low frequencies there is a fairly low penalty in placing the filer down the cable instead. Probably measureable, but managable. 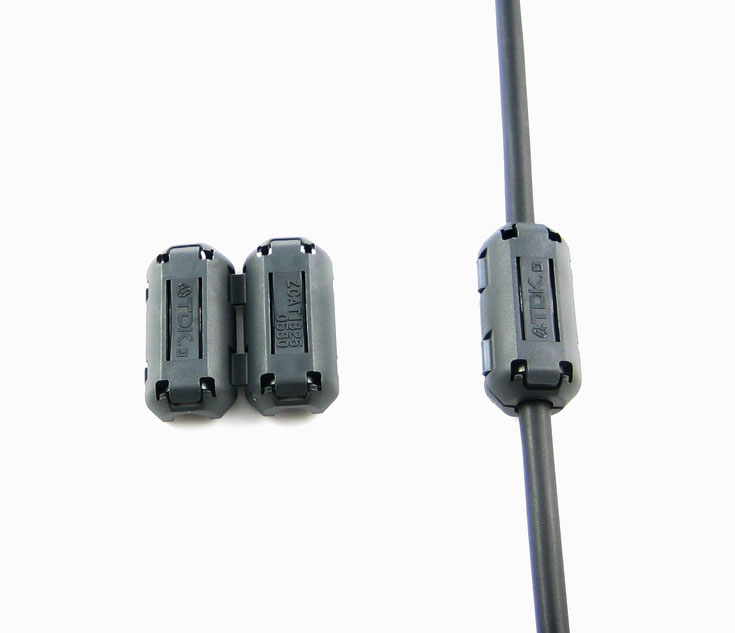 One easy way would be to put a toroid or ferrite on the cable, they increase the inductance on the cable for high frequency signals and prevent conducted emissions. 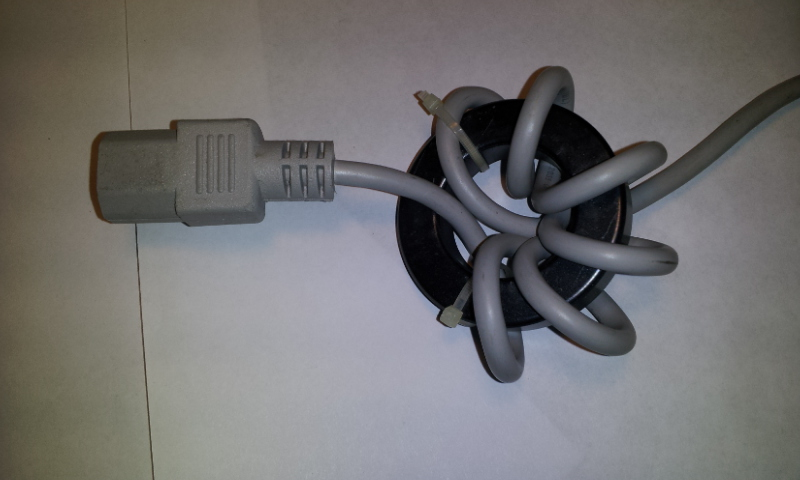 I've had success with a radio and blocking emissions from a PC with the mains cable from the radio wrapped around a ferrite toroid. You can also get clamp on ferrites almost everywhere. This will work if it is conducted emissions from the knife, if it's radiated emissions (radio waves) then your best bet would be to shield the speakers. It might be good to put a ferrite on the speakers AC mains cable too. You can also tear down the machine and make sure the commutator and brushes are tip-top. The source of the EMI may not be the machine itself, but defects or wear in the machine. Not the answer you're looking for? Browse other questions tagged motor emi-filtering or ask your own question. Necessary to lubricate old electric motor? How to properly shield a < 5v Circuit from EMI from a 220v motor?